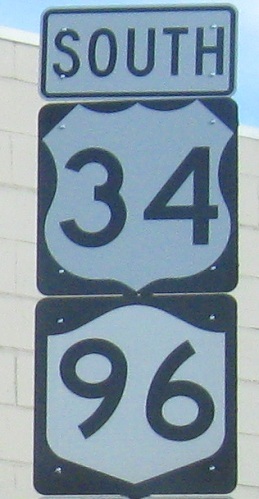 NY 34 begins at the PA state line. 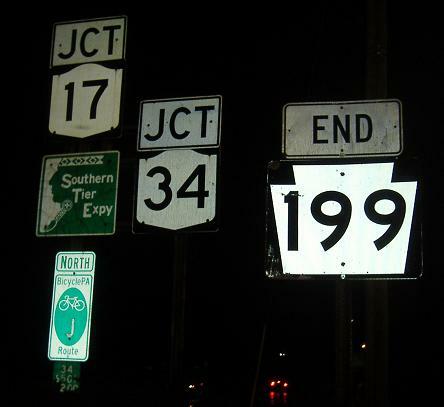 SB with NY 96, NY 34 adopts an alternate persona but fools no one except NY 96, which stands on its head in shock. 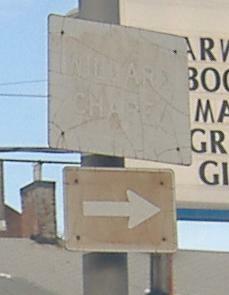 Now that I have been to this assembly in person, I know it's on William St. SB at Lincoln St. in Auburn. Instead of a zoomed-out version, have a super-closeup by clicking on it. SB on the short multiplex. 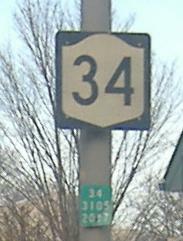 SB on NY 34, third photo courtesy Doug Kerr. 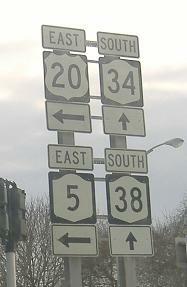 NY 38 is just to the west, and uses NY 5/US 20 to jog over to 34. 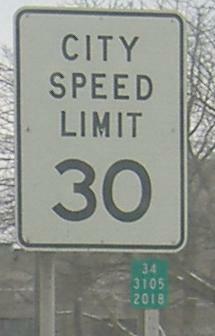 NB one block from US 20 to Seymour St.